While Shotgun Slade has been receiving well earned plaudits on social media for completing his 200th race at Sheffield, Sunderland grader Autumn Actor recently celebrated victory in his 215th outing. The son of Droopys Scolari recently completed five sold years of racing in the North East and is only four months off his seventh birthday. 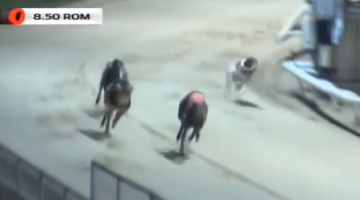 Trainer Jackie Teal said: “He is only little (26.7kg) but he absolutely loves his racing and always takes them around for another lap at the end. He is running off the front of the handicap these days (off 19m), though he was never the fastest at his peak. But for a dog who cost £250, has won two owners bonus competitions, and has never been injured he has been an absolute bargain.